Louis Tomlinson’s ex supposedly travelled 20,000 miles in an attempt to save their romance. Louis Tomlinson’s ex supposedly travelled 20,000 miles (32 000km) in an attempt to save their romance. Over the weekend a spokesperson confirmed the 23-year-old One Direction singer called it quits weeks ago with his girlfriend of four years Eleanor Calder. And according to British newspaper The Mirror, Eleanor flew 20,000 miles ahead of their breakup in hopes her visit with Liam would salvage their struggling relationship. “Cracks were showing for a while. It’s incredibly tough with the boys being on the road so much,” a source told The Mirror. "They had a month off over Christmas but since then they have been in Australia and the Far East. It put a real strain on the relationship. “But even after Eleanor flew out to visit Louis, they couldn’t work through their differences. Eleanor’s international trek is likely to have taken place around the time One Direction commenced their On the Road Again Tour in Sydney, Australia on February 7. A roundtrip flight from London, England to Sydney is about 20,000 miles. 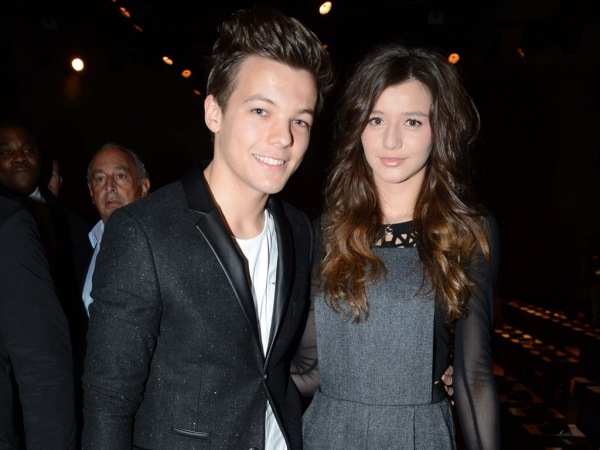 Eleanor (22) was first introduced to Louis by his bandmate Harry Styles in 2011. But it seems Louis has quickly moved on, as pictures were released over the weekend which sees the heartthrob making out with a woman while taking a dip in the pool at a party in Bangkok, Thailand. “They were kissing on and off in the pool for about 15 minutes. Louis was just wearing his boxers, having stripped off to swim,” an alleged onlooker told Britain’s The Sun newspaper. I'm a 57 year old man looking to meet women between the ages of 55 and 67. I'm a 34 year old woman looking to meet men between the ages of 39 and 56.